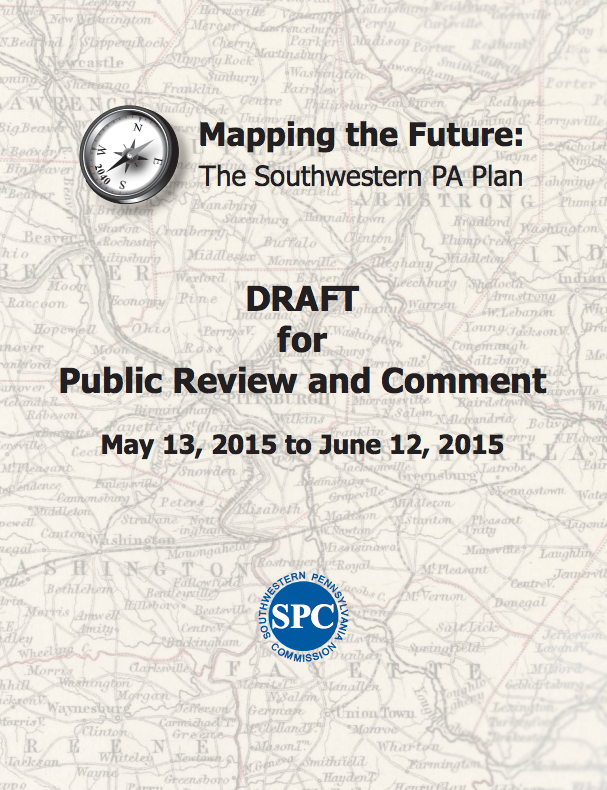 The Southwestern Pennsylvania Commission (SPC) is currently updating its long range plan to meet the needs of the region to the year 2040. The Southwestern PA Plan is the regional long range transportation and development plan for Southwestern Pennsylvania, and is the mechanism for connecting the Regional Vision to the region’s official, coordinated implementation program of projects and actions. 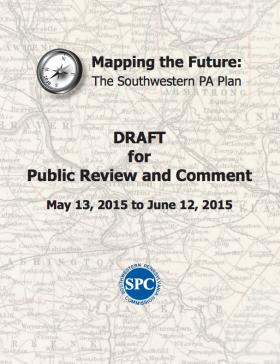 Starting Wednesday, May 13, 2015, and concluding on Friday, June 12th at 4:00pm, the Plan and its Companion Documents will be available for public review on the internet at www.spcregion.org, at offices of the Southwestern Pennsylvania Commission, at the Pittsburgh Department of City Planning, at County Planning offices, and at many public libraries around Southwestern Pennsylvania.